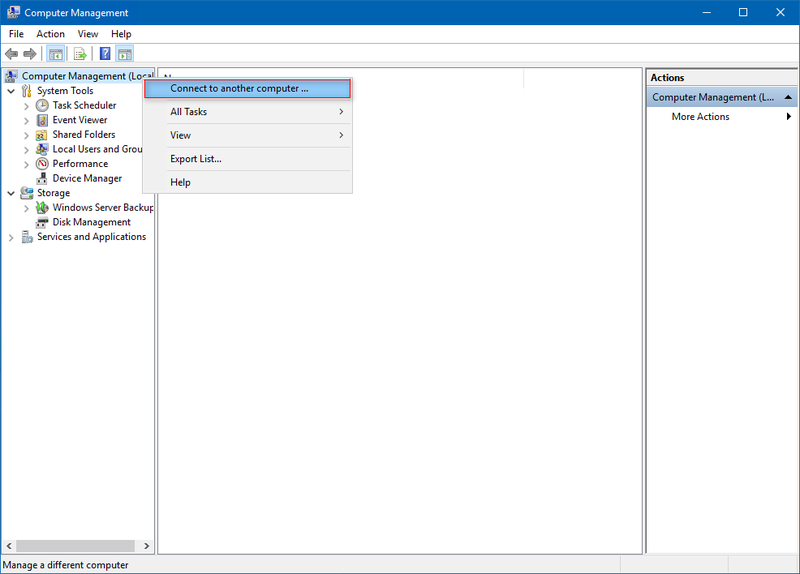 In this article, I’ll show you how to create a Shared Folder on a Windows Nano Server 2016 and assign permissions to it. 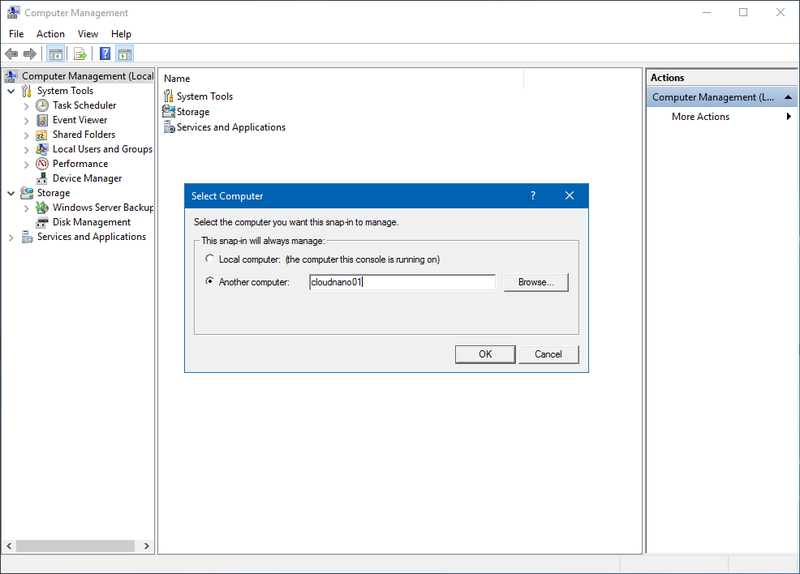 The first step in this process is to install the Windows Server Storage Package. If you don’t have installed the Nano Server Package Provider, use the following PowerShell command to install the File Server role. Check my previous article how to do this. 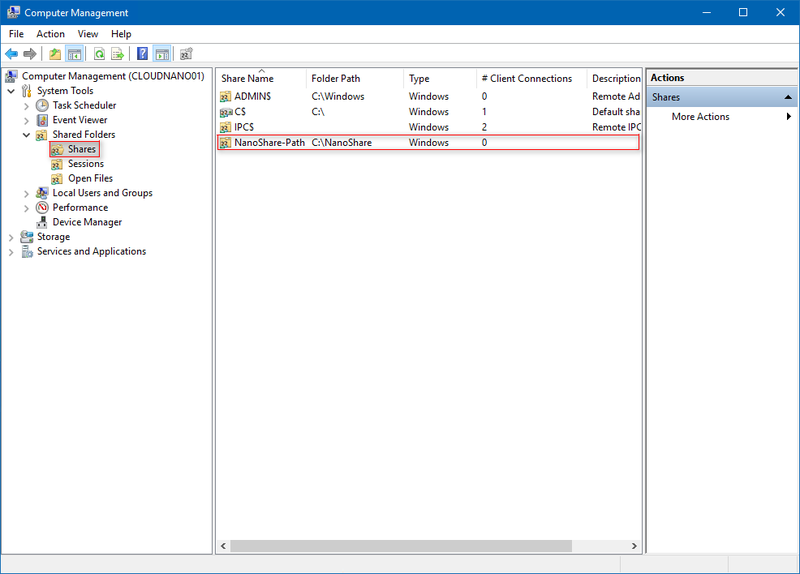 If you don’t want to use PowerShell to manage SMB Share, you could also use the Computer Management MMC to assign and manage SMB shares. To do this I’ll login to my management server and go to Computer Management. From there I connect to my CLOUDNANO01 server. 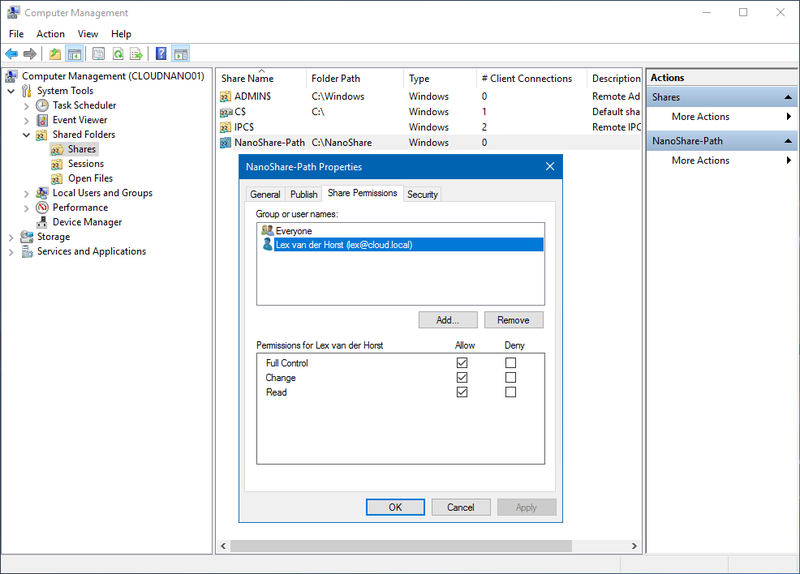 Type your Windows Nano Server 2016, in my case I type cloudnano01 and click OK.
Go to System Tools -> Shared Folders -> Shares to view all shares. We will see the NanoShare-Path share we created earlier in this article.